RUSH: This is Lissa in St. Louis. It’s great to have you on the EIB Network. Hello. CALLER: Oh, hi, Rush. Thanks so much. CALLER: Listen, as I hear you outline all of these connections and conflicts, it reminds me of something I’ve heard you say before. Which is that generally you’re not a big conspiracy theory guy because you always feel like it would have to be too big. It would have to be too deep. It would have to involve so many departments. RUSH: Well, it depends on what the conspiracy is. CALLER: Yeah. Right. Certainly to me, if it ever came to the military, you would never see it because I just don’t think those people think that way. I don’t think they’re wired that way. But it makes me realize that, you know what? It is possible that a group of people could conspire to hide something bad, to do something bad. I don’t pretend to know what they’re hiding, but I gotta believe what they are hiding is something filthy dirty, something really bad. RUSH: So let me try to understand further. You think that after hearing me go through who works for who, who’s married to who, how many people have left journalism to work for the Obama administration and so forth, you think that there is a, quote, “active conspiracy,” to do what? To get rid of Trump? What conspiracy do you think you now could believe exists? CALLER: I feel that they’re trying to hide something bad that was done, something illegal. It has to do with money and power and abuse of power. RUSH: Okay. But who are “they”? In relationship to what? CALLER: I think the Clintons. I think the Clintons are involved and I think Obama is involved, in terms of trying to cover for… In other words, I think they’re trying to get rid of Trump because they’re afraid that Trump will expose these bad things. RUSH: Oh! Well, I don’t think that’s necessarily conspiracy oriented. That’s simply CYA. They are trying to cover their asses. RUSH: That’s what’s going on. Let me see if I can draw a distinction for you between what I refute as conspiracy thinking and just normal behavior. Let’s take a look at the Washington establishment. No, let me give you a better example — which I’ve used before — and I will build off of it. When Lois Lerner at the IRS was summarily rejecting the application of conservative groups for tax-exempt status, summarily rejecting them, there were a lot of people who were hoping to find a smoking gun memo from the Obama White House to Lois Lerner to tell her what to do. I made the point that such a memo doesn’t need to exist, that she was hired because whoever hired her knows this is exactly what she would do in the first place. The Obama administration was staffed by people who you didn’t need instructions. RUSH: They would naturally do what leftists will predictably and naturally do without having to be told, without having to have any meetings. Same thing with Eric Holder at the Department of Justice. He doesn’t have to meet with Obama to decide not to prosecute African-Americans in the New Black Panther Party for voter fraud the Philadelphia area in the election in 2008. Obama didn’t have to tell him to do that. 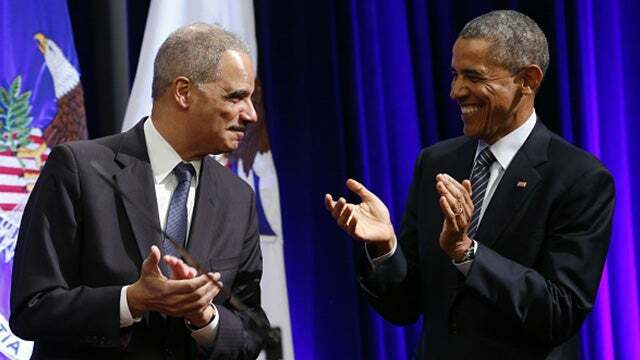 Eric Holder could decide on his own he wasn’t gonna do it because he’s simpatico with Obama and the view of African-Americans as a sympathetic minority on the left. Now, you come to the Trump deal here, and… (sigh) Is it a conspiracy that the so-called deep state and Obama and Hillary and John Brennan and James Clapper and Fusion GPS and Perkins Coie (the law firm that Hillary used, the cutout), and the Hillary campaign and the DNC…? Is it a conspiracy that they have all joined together and band together on a single objective op, and that was to prevent Trump getting elected — and then after he got elected, to either paralyze his presidency or, at best, get him impeached and thrown out of town? RUSH: Quite naturally, they are going to circle the wagons around Hillary — and quite naturally, they’re gonna defend Obama and the Obama agenda. RUSH: Remember, these are leftists we’re talking about where the cause is everything. Remember Dan Rather when he was humiliated and embarrassed and exposed as a fraud for creating forged documents about George W. Bush? CALLER: Oh, yeah! They gave him a trophy. RUSH: They gave him an award and created a dinner to give him this award, not so much to save Rather — they had to do that, though — but to save journalism, to predict journalism. They couldn’t throw Rather overboard because of the damage it would do to the entire business. So they had to do the opposite and protect him. Now, I don’t think these things hatch from conspiratorial meetings. I think this is who these people are. Now, in the Rather example, I’m sure there was a meeting. I’m sure somebody called somebody and said, “We need to give the guy an award. We need to do a dinner protect journalism.” But it didn’t require any persuasion. The person on the receiving end of the phone call, “Oh, yeah. Exactly right. I was thinking the same thing.” When I think conspiracy… You tell me as if I’m wrong. When I think conspiracy, I think of a few people sitting in a room and planning a deeply intricate operation or mission that is designed to happen with nobody noticing it. RUSH: That’s what is meant by that. It’s supposed to look natural. It’s not supposed to look like there’s anything nefarious to it. A conspiracy is, by definition, supposed to be something nobody can see, nobody can spot, nobody can pinpoint. Well, this is wide out in the open, and I think what’s driving the… I think you’re absolutely right, by the way. I’m not trying to defuse here. I think that all of these things were done during the campaign — spying on Trump, any number of abuses of the intelligence community and so forth — that they would really love to make sure nobody ever finds out about. RUSH: I have no doubt. But the actual operation to get rid of Trump? Nobody had to think about it. Nobody had to conceive it. They all think this in their natural, day-to-day existence. They are all uniformly offended and outraged that Trump got elected, that they failed to stop him, that Hillary failed, and they all believe that they are bigger than the country and more important than the country, more important than the Constitution. They alone have got to save themselves because, in their world, they’re the ones that really run the country. They’re the ones that make all of the decisions and have all of the power that really determines the agenda, the direction, the place in the world of the country. Since they’re all on same page, it doesn’t require many meetings. CALLER: Right. It really… I mean, they like to talk about… You know, they like to say Trump’s crazy. To me, that just sounds delusional on their part. (chuckling) You know? Like, mildly delusional. But you’re right. That’s how they think. RUSH: How do you…? What do you mean, “delusional”? 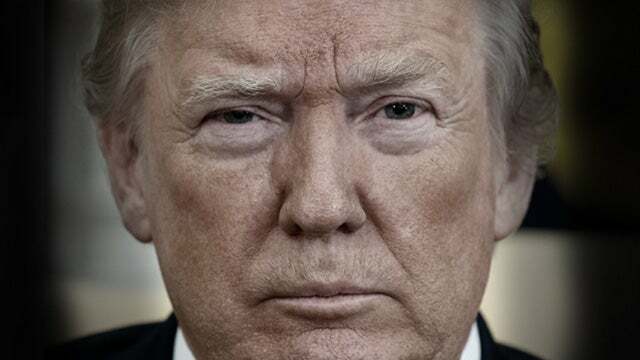 RUSH: — bordering on lawlessness that makes them believe that somebody other than who they approve is simply not allowed to be president and must be tossed out. That’s hubris. That’s arrogance, nihilism. It’s any number of things, but they’re not deluded. CALLER: I see what you’re saying. Yes, definitely arrogant. RUSH: Now, you may think they are delusional to think that they think this way. CALLER: That’s what I mean. You know, I guess just living right here in flyover country, you know, you hear that and think, “Are you crazy? This is the United States of America. This is not how we were founded and how we –” I guess that’s where I’m coming from. That their arrogance is astonishing. RUSH: — it won’t matter. Flyover country, these are a very elite bunch of people who look down their nose at anybody who is not with them. And they have a whole way of being raised and educated and prepared for membership in the so-called establishment. And it’s not solely this, but, in large part, the Ivy League universities, which are in charge of educating and training people how to dress and how to network and who to meet. You know, who gets accepted at these universities and for what. Years ago the CIA recruited for agents in the Ivy League universities. And in the U.K., MI6, MI5, they were all over Cambridge, all over Eaton. That’s where they got their agents. It was considered to be the elite of the elite in the Ivy League schools. And of course as time goes on, there’s some Left Coast institutions like Stanford which have achieved the same reputation as being part of the supply chain, if you will. But they do, in their own minds, they’re different, and they’re special, and they’re more knowledgeable, and they’re more worldly, and the rest of us, we’re plebes. You know, we’re not capable of understanding all that they have to deal with. In their minds they cannot leave the running of this country up to democracy and the vote. That’s too risky because we’re too stupid, or we’re too ignorant. We don’t know all this. So regardless how elections turn out, they are gonna end up running the show. RUSH: Oh, exactly. But Trump winning has been the biggest thing to throw people for a loop and upside down in decades. It’s not supposed to be able to happen. Trump is not supposed to be able to happen in every which way Trump is. He’s a thug. He’s boorish. He has no taste. He runs around with a crazy perhaps criminal element in his career. He has no experience showing respect to the establishment. He’s constantly been an outsider. 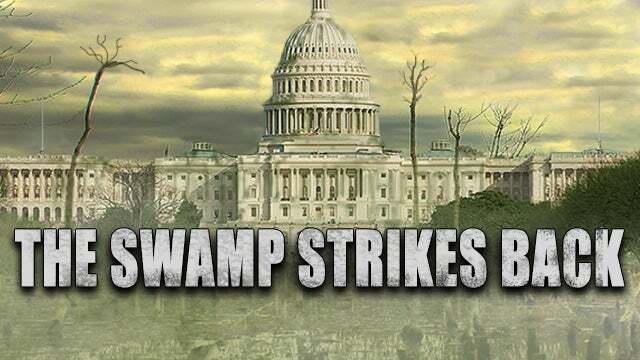 Somebody like Donald Trump in every which way, somebody that did not use a pollster, somebody that did not have campaign consultants, somebody that did not, you know, hire the elites Inside Washington to get him elected. It’s not supposed to be possible. The way they’ve set it up, Trump is not supposed to be possible. And they didn’t think it was. They thought Hillary was gonna win no matter what happened. They have been thrown for the biggest loop of their professional careers. It’s driving them crazy. And they fully expected to have gotten rid of him in six months. They really did, folks. Not making this up. And they can’t and haven’t been able to. And they haven’t been able to derail all of his agenda. I mean, they’re at their wits’ end here. They’re getting desperate and it’s obvious if you just pay attention to what they’re saying, the areas they’re looking at and going into. It’s pure, utter desperation. They are corrupting every institution they claim to lead in an effort to get things back to normal, and that is them running things. By the way, them, they, we don’t really know who they are. They’re not the people that get elected. The people I’m talking about. The people that run for office get elected are the pawns. The people that run for office and get elected are the ones that take instruction and follow it. That’s why it’s called deep state. At any rate, I’m really glad you called, because I love getting feedback like this where people are actually thinking about this. And I love your voice, by the way. Just fabulous. And your name, Lissa, one of my all-time top ten favorite female names. You’re the whole package out there. RUSH: The deputy attorney general, Rod Rosenstein, has asked for an extension on the deadline before turning over Comey’s four emails that he leaked — his emails, notes, whatever — that eventually led to the naming of a special counsel. Rosenstein says it’s very time-consuming to check for classified information in these things, so we need to extend the time. They are trying to prolong this investigation. Don’t believe anything you’ve heard about this thing wrapping up in June or July. Ain’t no way! This thing is gonna go on and on and on until September, October, November, however long it has to go on to get Trump, ’cause that’s all any of this is about.